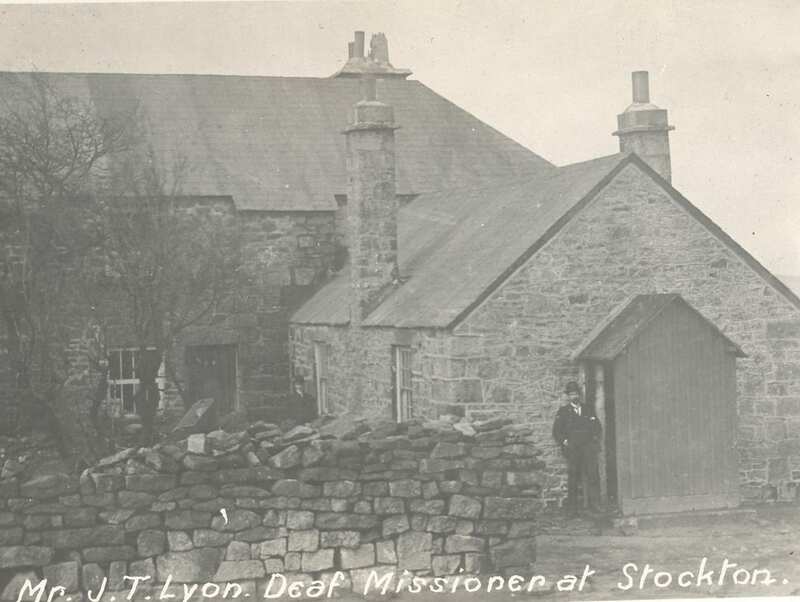 I know he was married, and they had a son, Frank Taylor Lyon, and he was living at 9 West End Terrace, Yarm Road when he died, but I cannot find either of them in the online census record. If you can, please do comment below. There may be a record of him in the local mission’s annual reports, or in local archives, however we have hardly anything – only some account sheets from the 1950s. He died on 1st December, 1926 after some years of ill-health. Note: While looking for something else my eye was caught by the same name, a J.T. Lyon of Aberdeen, playing as a fullback for Scotland in the second Deaf football international between England and Scotland, on 2nd April 1892. Is this the same person? It is! He was a pupil I have discovered, at Donaldson’s School (from information on our old index cards). The game, which was played on the West Manchester football ground, had a remarkable 2,500 spectators. The game was 3-2 at half time, then despite fog they came out for the second half and England scored twice again then had a free kick which caused Lyon’s fellow fullback Moodie to storm off. He was persuaded to return and England went on to win 7-2. Dissent on the sports field is clearly not new! Sports are sociable activities that bring people together so it is no surprise that they have featured very strongly in the history of Deaf people in the U.K., as we have noted in previous posts. However there have not been many who have also competed at the highest level. One problem is playing to the whistle. A player who did play professional football was James or William MacLean (sometimes given as Mclean) of Cardiff City. There is a very small mention of him in Atherton et.al. (2000),[*] where the information came from his daughter. 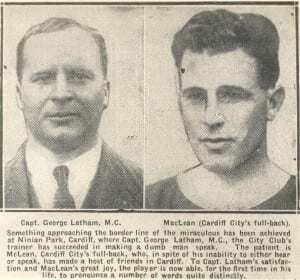 He played with Cardiff from 1923-6. Click for a larger size larger size. This newspaper article, from a photo in the library collection, is typical of its age (1920s) in its tone. They do not know Mclean’s first name and seem amazed that he could learn to speak. 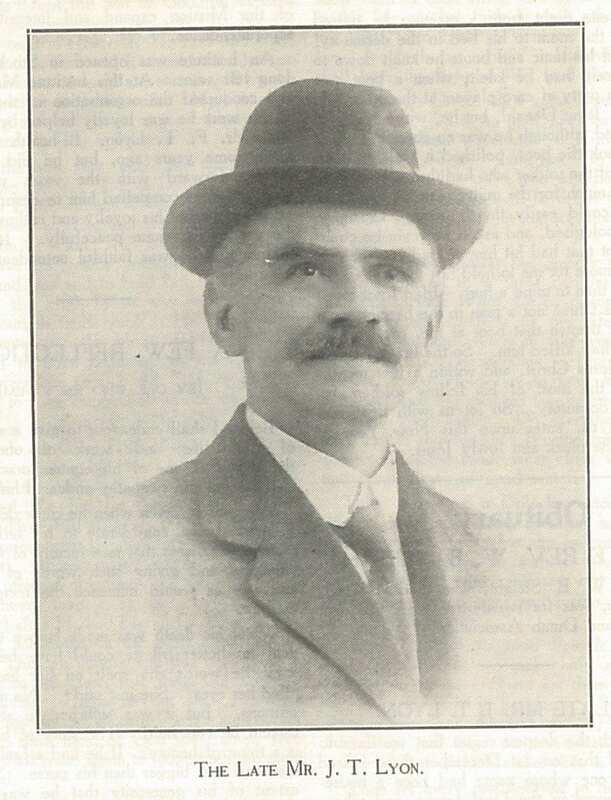 A younger version of Wilson appears on a picture in an earlier item on the National Deaf Club. Here we see him in middle age. He was born in Camden Town at 43 Arlington St, on 17th of February 1858, the son of a schoolmaster. Catching scarlet fever aged 12, he became totally deaf. His education continued at home, and Dimmock tells us that he composed an article at the age of 14 that appeared in A Magazine intended chiefly for the Deaf and Dumb (we have this journal in the library). 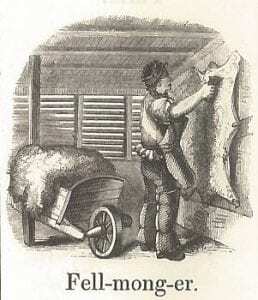 For a time employed as an engraver, his eyesight not being strong enough Wilson became a journalist. With the aid of the Rev. Samuel Smith he helped found the National Deaf and Dumb Teetotal Society . Wilson was a keen cyclist, and organised races and hill climbs in the late 1870s on one of the heavy tricycles then in vogue. He raced in Ireland, from which came the offer of a position in Dublin on the Irish Cyclist (Dimmock). Marrying a hearing lady in 1887, he moved back to London as manager for the Pneumatic Tyre Company. In 1896 Wilson was the first Deaf person to purchase and drive a motor vehicle, and he was reputedly the inventor of the wing mirror. He became wealthy and was acquainted with the Prince of Wales, getting him interested in cycling, and taught King George V to cycle. He was an important figure in the development of Deaf Sport in the London region, which led to the establishment of the British Deaf Amateur Sports Association in 1930 (Dimmock). 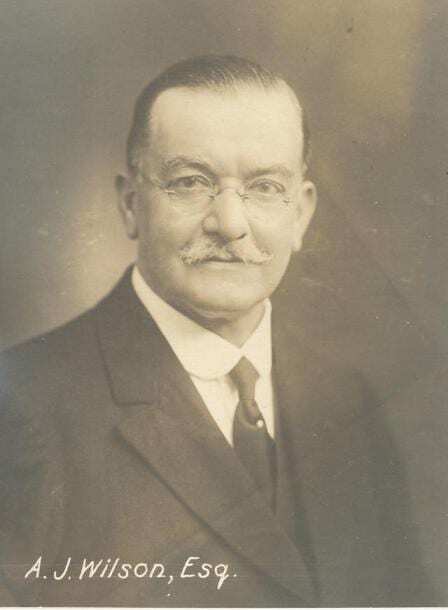 Wilson was a founder of the Federation of London Deaf Clubs in 1918, and President of the Midland Counties Institutes for the Deaf (later Coventry Institute for the Deaf) as early as 1915 shortly after it was founded. His business fell into a decline after the Great War and was wound up in 1929. He died in 1945 in Leamington Spa. 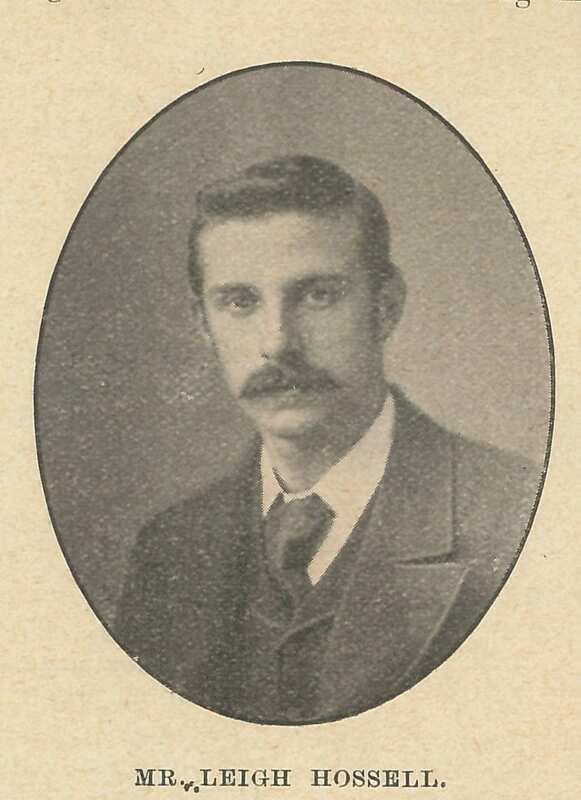 DIMMOCK, A.F. Arthur James Wilson, otherwise Faed, 1858-1945. British Deaf History Society Publications, 1996. See also annual reports for Coventry & Warwickshire Association for the Deaf. 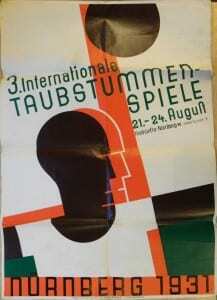 The Swedish magazine for the Deaf says there were 6,000 spectators on the last day. I can find very little in British sources about the games. The most successful Briton appears to have been Cyril Reynolds. He came 3rd in the 200m, an event he had won in 1928. The British team was lead by the Rev. Vernon Jones, of whom more in a later entry. 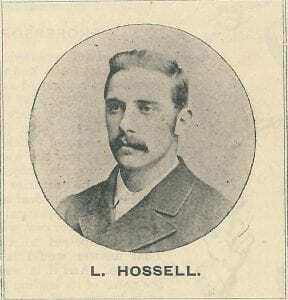 The British Deaf Times also points out the “Two men from Leeds, one from Sheffield, and one from Barnsley represented Yorkshire in the third Olympiad”. Many of them were competing both in field and track sports. From a Finland Swedish magazine for the Deaf I read that the Polish competitors were turned away at the borders. This was of course in 1931, at the beginnings of Nazi rule. Deaf people were to suffer greatly on the following years.